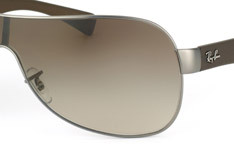 Ray-Ban sunglasses are always in style and they are excellent at protecting your eyes from the sun. Made with top quality materials, they are a good choice for driving sunglasses, but they can be worn for any outdoor occasion. 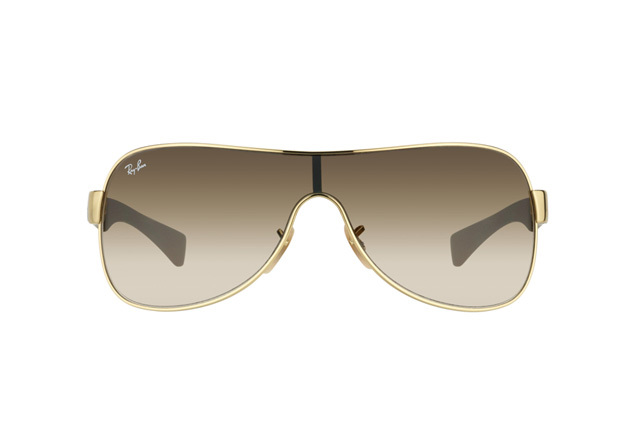 The Ray-Ban RB 3471 001/13 sunglasses are aviator-style with a slight, curved wrap that fully protects the eyes. This style suits both men and women. 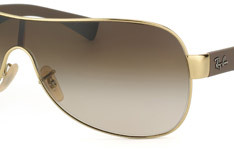 The frame is a shiny gold-coloured metal with a chocolate brown, rubberised coating on the arms. 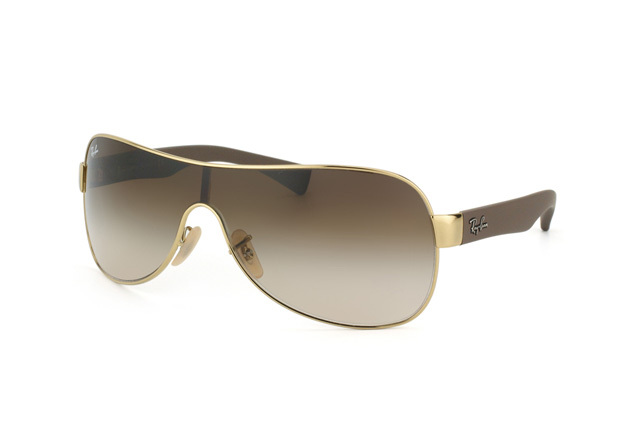 The plastic lenses have a smokey brown graduated tint and the brand signature appears on one lens and on each arm at the temples. There are other colour combinations available in the same style for a different look. 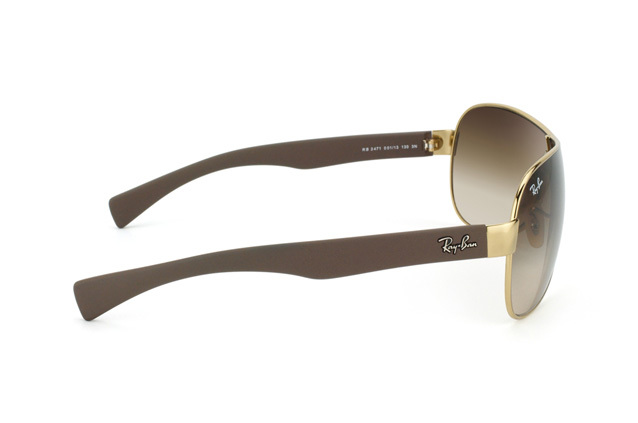 For rapid delivery, a same-day shipping option is available for sunglass orders that are placed before 2pm. Mister Spex want you to be happy with your purchase so we offer a hassle-free returns service that is valid for 30 days.